Yesterday my mission was to find and visit a scrap booking store. I wanted to shop for supplies for my putz houses. I found one but sadly, it was going out of business. But everything was on sale! 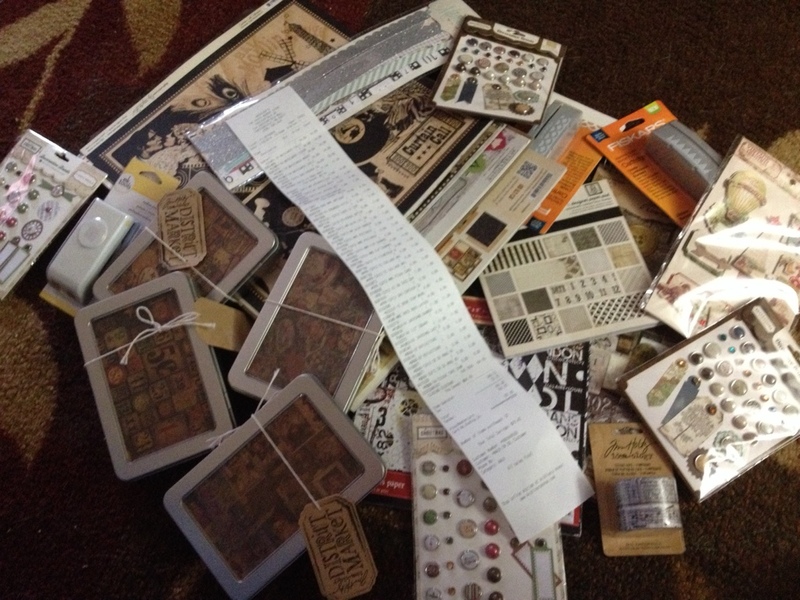 So I bought a few things…well…a lot of a few things I should say. That’s my receipt in the middle of it all. You have some awesome loot there! Oooooh, the things you can make with all this bounty! Have fun using up this stuff on your Putz houses.